We had a fire evacuation at work today, so while we were outside, I snapped a few photos. 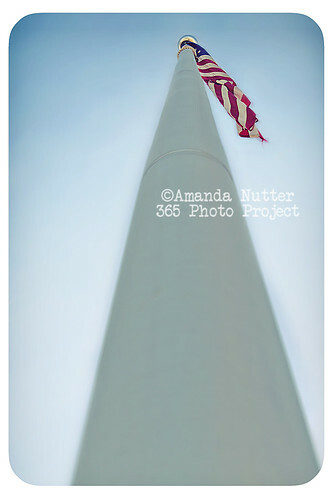 At one point we were standing directly under the flag pole, so I got this. I liked how it looked.